This College is accredited by NAAC A (National Assessment and Accreditation Council) validity is 15 Nov 2020 and the score is 3.2 . 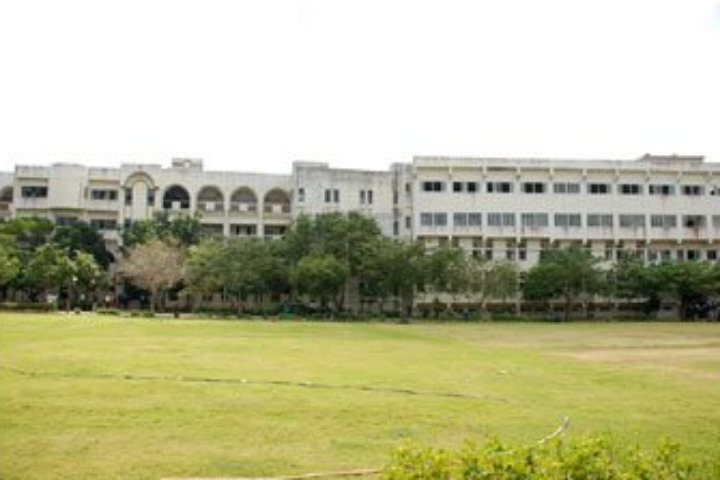 My college is a vast campus.This college one of the best technical college in mumbai and it is been graded " AAAA" by Careers 360 in 2016. The college encourages the everyone to undertake lots of research and industrial competitions.It mainly focuses in advanced technology and Robotics too.There are lot of social and cultural activities undertaking in the college.OPPURTUNITIES are lot in this college,not only in automation sector but in automobile too.It has received ranked 3rd worldwide and 5th in the Design Report at the Future Flight Design Competition, Turkey in May 2015, represented by Team Vayuputras.Debates,Literary arts and Entrepreneurship is also at apex.Not only that there are so many cultural festivals,and talking about its campus - It is very good and one of the huge campus.But I think the infrastructure of the campus should be improved.Other than that the college is amazing and thus offerings the best OPPORTUNITIES to the studentd and in return the hard efforts and determination of my collegues are bringing out the laurels and achievements for the college. College infrastructure is good. But classrooms should be equipped with smart boards (at least in case of technical courses like B. Tech) to make learning even more effective. College somewhere lacks behind in sports. Like, indoor room is still under construction. There should some special periods in curriculum only for extra curricular activities. College curriculum and demands of industry do not go hand in hand with each other. Curriculum mainly focus on theory and very less on practical knowledge. Thus, students are not able to get practical exposure. Even the industrial visits are not that effective. We don't get any exposure by industrial visit. In labs too, teachers are more focussed on files rather than knowledge. College life could be more happening by focusing on Extra curricular activities and in other non- technical programs like personality development, communication skill etc. 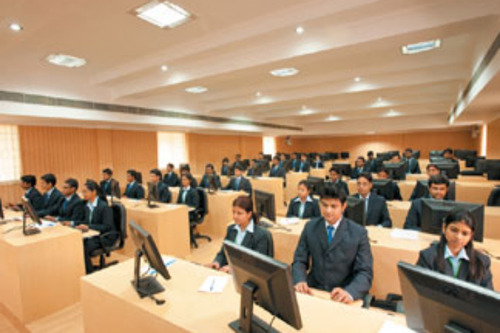 my college do not need to focus on placement related concerns. Its placement record is fine enough. Rather, my college should focus more on providing industrial training, internships, live projects etc. I don't stay at hostel. So, I can't comment on that. But as per the review which I got from my friends, they do not get the kind of environment where they can study peacefully in groups. Group study is strictly not allowed. So, what the advantage of being at hostel when you can't do group study? My college professors should focus more on practical aspects and more on clearing concepts rather than judging that whether they have made their files properly or not? Crowd in my college is overall good. Even a middle class family can offord this fees. 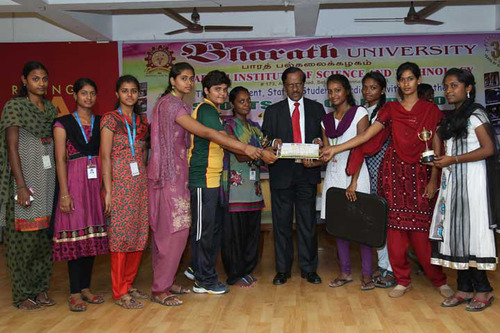 Bharath university has a good Infrastructure and the faculty is good , most of them are have PH.D. The placemats are above average. The overall campus has beed enabled with superfast WIFI system. Now about the Hostel , The hostel facilities are good but food is sort of average. But we can adjust. 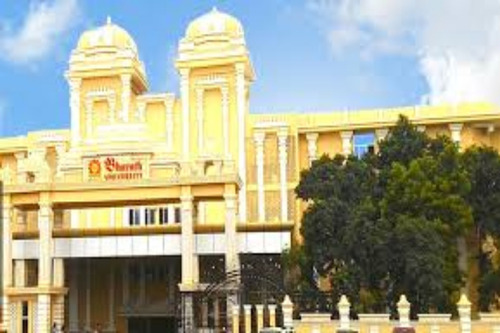 Biher chennai is better cse here we are not hear biher university plz tell me how is biher? 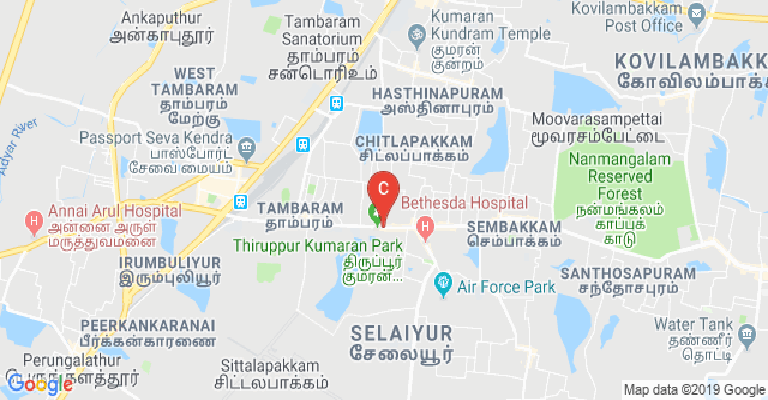 What is the bad things about biher chennai? Is it better to join electronics and communication engineering? Fee structure of bharath University? Tell me the details of Bharath university Chennai that placements,there is an issue about black list and also not giving any publicity.? This College is accredited by NAAC (National Assessment and Accreditation Council) A validity is 15 Nov 2020 and the score is 3.2 . Boys Hostel :There are 4 boys hostel, which accommodate 1470 students in single bedded, two-bedded and three-bedded rooms with ac and non-ac facilities. There are 12 A/C rooms in boys hostel. Individual metering services for those who want A/C facilities is also provided. 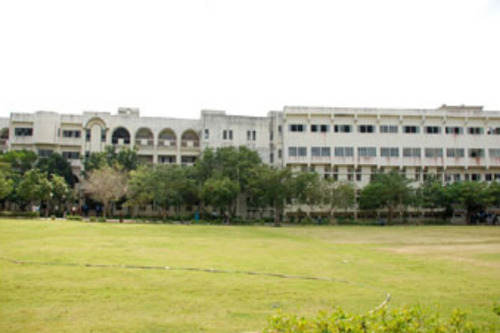 Post-graduates students have separate block of hostels. Each block has separate gym, library, laundry facilities and internet center. Each floor in the hostels has TVs with cable connection. Optional washing services are provided in well maintained separate washing areas. In addition, Men’s saloon for the boys. Each block is enabled with Wi-Fi facility. University ensures good safety measures throughout the hostel blocks. Girls Hostel :There are 1 girls hostel, single bedded, two-bedded and three-bedded rooms with ac and non-ac facilities. There are 10 A/C rooms in girls hostel. Individual metering services for those who want A/C facilities is also provided. Post-graduates students have separate block of hostel. Each block has separate gym, library, laundry facilities and internet center. Each floor in the hostels has TVs with cable connection. Optional washing services are provided in well maintained separate washing areas. Each block is enabled with Wi-Fi facility. University ensures good safety measures throughout the hostel blocks. Medical/Hospital :Primary health care center takes care of the health of the students. All students in hostels are checked regularly on monthly basis by the doctors of the university hospital. The university hospital has full-fledged hospital facilities with ICU and emergency care for 24 hours. An ambulance is always standby for any medical emergency. 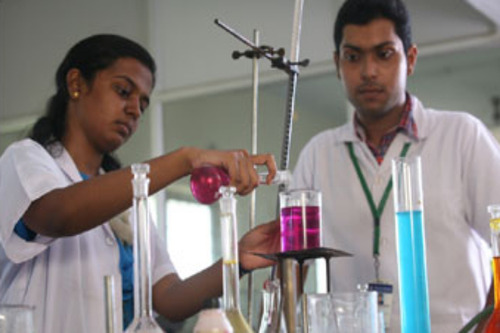 All medicines and investigation are provided free of charge to all students and faculty. Gym :Gym facility available in the campus including Strength master treadmill, 8 station multi gym, EFX, Recumbent bike, Upright bike, Multi bench, Adjustable bench, Ab board, Dhumbells, Plates, Rod, Plate stand, Dumble stand. Special coaching for cricket, volley ball, basket ball, Free yoga training has been given for the sports students. 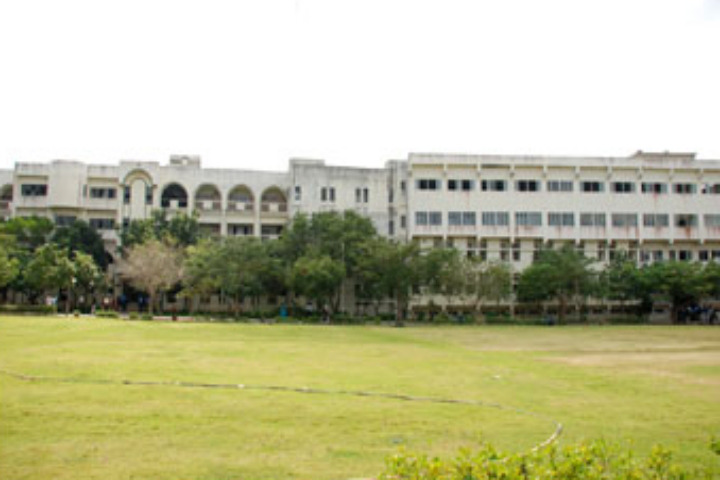 Library :The BIHER Library was established in the year 1984 with three main branches of Engineering such as Civil, Mechanical and Computer Science Engineering. Gradually it has grown up in all dimensions in terms of collections and services. The library caters to the needs of the faculty, Students and Research Scholars. Books related to these disciplines were added to this library initially. 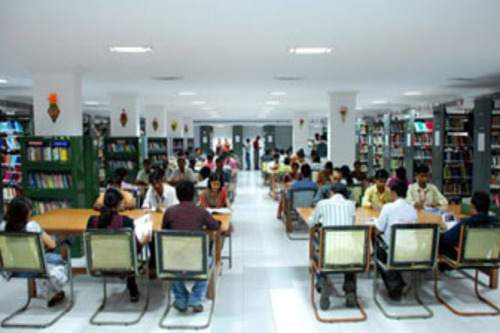 Bharath University Library has a seating capacity of Six Hundred. The major collection of the library is housed in various racks according to the subjects. 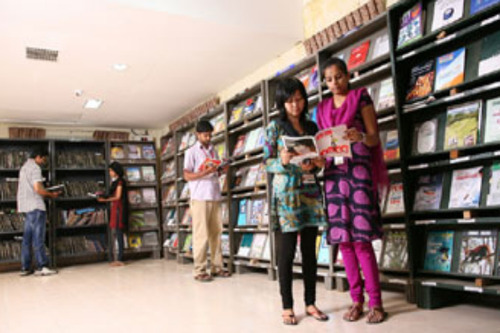 The stack area consists of books on all branches of engineering and technology. In this section books are permitted to users for borrowing purpose. The total no of documents includes books, journals, back volumes comprise a total of 1,81,936 documents. Sports :University has sports facility including Volley ball, Basket ball, Foot ball, Cricket, Badminton, Throw Ball – Women, 100 mts. Track field, 200 mts. Track field, 400 mts. Relay, 1500 mts. Track field, Carrom–25 Nos., Chess–25 Nos., Table tennis–15 Nos., Badminton court–5 Nos., Snooker table–5 Nos., Throw Ball (Women) – 10 Nos. Cafeteria :For those who want a change, a variety of hygienic food facilities are available on campus. A popular eating spot is the 600 square meters food court, that serves delicious non-vegetarian and vegetarian food at reasonable prices. Fast food outlets are also attached to both the boys and girls hostel. Transport Facility :The Institution provides transport facility from almost all parts of the city. One need not worry about commuting to the varsity. Guest Room/Waiting Room :All visiting parents and guests can stay in the fully furnished air-conditioned guesthouse in the respective campuses. More than 100 guests can stay at the same time. Banks/ATMs :Punjab National Bank provides the ATM and banking at the respective campuses for the need of the students and faculty. Convenience Store :Each campus has a post office STD, ISD pay phones, copier facility, stationery store, souvenir shop etc. The university has the tie-ups with beauty parlor, travel agency etc.